Mold and mildew is the enemy. It's dirty and if a person breathes the mold or mildew they can develop lung problems. 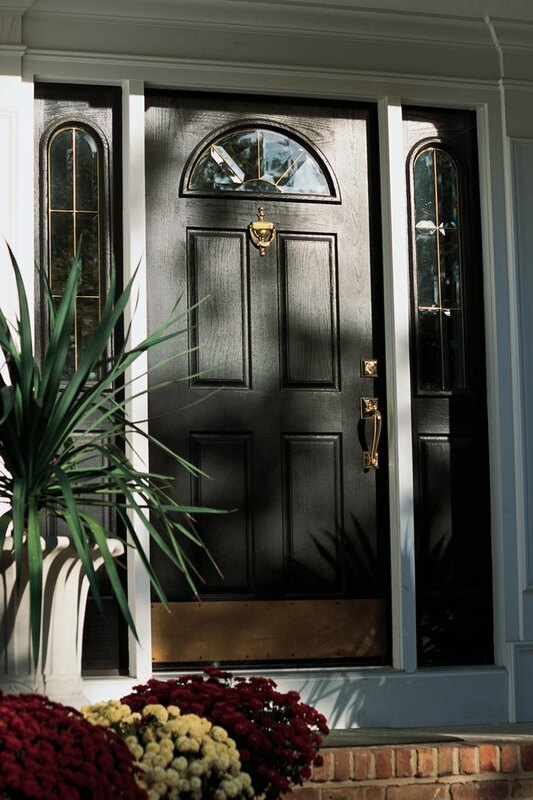 Exterior doors are usually the last places people look for mold. A door can become moldy in high-humidity areas, especially if door in protected by an overhang. Whenever the door opens, mold spores can float into house on particles of dust. Don't let mold in your shaded front door. Pour 1/4 cup bleach and 1 tablespoon of dishwashing soap into a spray bottle. Top off the bottle with water. Fill another spray bottle with 1/4 cup of vinegar and water. Put on a protective mask. Always use a mask when cleaning mold and using bleach. Turn on your hose and adjust the the nozzle to "Mist." Do not use the "Stream" or "Jet" nozzle at this point, as the force of the stream can propel mold spores into the air. Spray the exterior door gently with water and take a long-handled brush and wipe down the door. Spray the door with the bleach and soap solution. Take the long-handled brush and scrub the door. Make sure to get all the corner and crevices. Rinse the door using the strongest stream on the nozzle. Rinse all the soap and bleach off the door. The bleach solution kills the mold and mildew on the exterior door. Spray the door with the vinegar solution. Go over the door with the long-handled brush, working the vinegar solution into corners and crevices. Rinse well with a gentle spray. 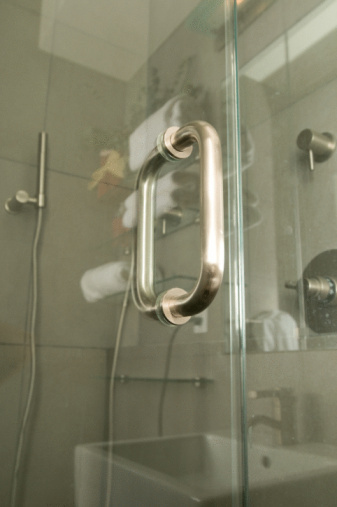 The vinegar solution with get rid of any mold and soap residue left on door. Dry the door with the old towel and put a fan in front of door. Turn the fan on and let air blow on door for about 15 minutes or until door is completely dry. Mold cannot grow without moisture.